Jeff Nady (79) blocks during an Arena Football League game earlier this season. It’s been a whirlwind year for Jeff Nady, but he’s found solid footing to prepare for the next big step in his professional football career. 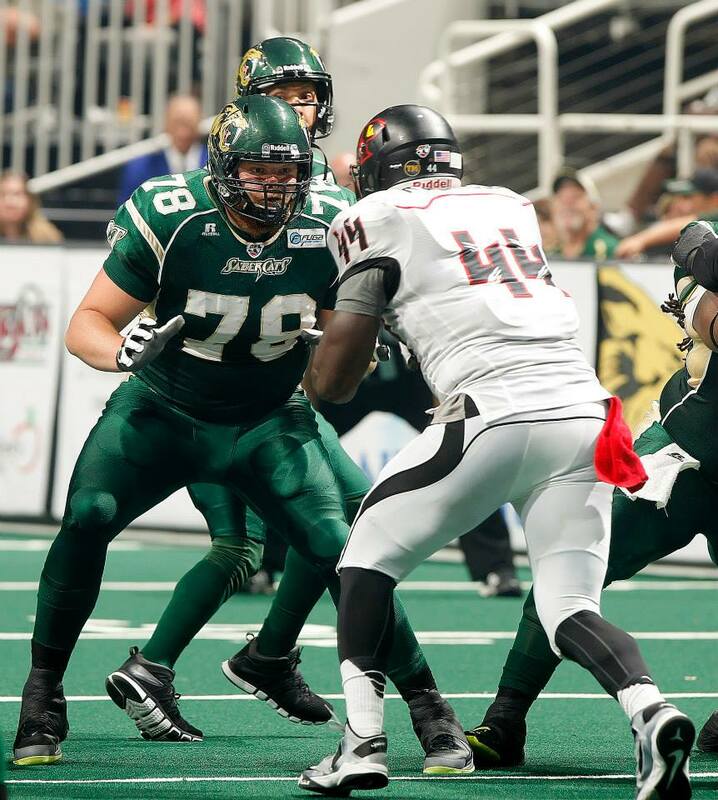 The 2008 Douglas High grad, who went on to have a standout career as a standout offensive lineman for the University of Nevada Wolf Pack, has been a key player for the San Jose SaberCats of the Arena Football League this season. The Sabercats are 10-4 on the season and atop the Pacific Division standings with four games remaining in the regular season. 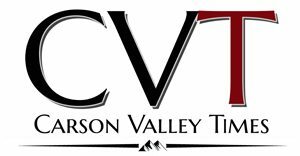 They defeated previously unbeaten Arizona last weekend — a game during which Nady caught a three-yard touchdown pass. The road to this point has taken Nady all over the country in the past 12 months. After going unpicked during the NFL draft in April 2013, Nady signed with the Jacksonville Jaguars. He was released a month later but signed with the Atlanta Falcons at the beginning of NFL training camp in August. He played in his first professional game against the Baltimore Ravens during the preseason, but was released several weeks later. The opportunity to play in the Arena Football League came up later in the year. Both San Jose and the Spokane Shock showed interest in Nady, leaving him with a decision. The goal is to get back to an NFL camp. “That’s my dream, it’s what I’ve always wanted to do,” Nady said. “Everyone’s path into the league is different. I felt like for me it was better to stay on a roster rather than working out at home alone. This was a chance to be a part of a quality franchise and play against solid competition every week. Nady said the biggest adjustments from traditional football to arena football have been in the matchups in the trenches. “It’s definitely different,” he said. “It is a lot more one-on-one. There aren’t blocking schemes so to speak. It’s you against the guy across the line. It shows real quick where you are good and where your weaknesses are. There is nowhere to hide. Aside from playing on the offensive line, Nady is used as a wing back and full back in some formations. He’s rushed three times this season for six yards and caught a three-yard touchdown pass last week against Arizona. It was his first touchdown since 2008 when he still played at Douglas High. Nady said he’s been impressed with the arena atmosphere as well. “We get 12,000 people out at some games. It gets loud in there and the fans are right there on the field too. It’s a cool atmosphere. I’m getting paid to play football in sunny California. There are a lot worse things to be doing. San Jose takes on the Los Angeles Kiss at 5 p.m. on Sunday (July 6). The game will be broadcast on www.espn3.com or the WatchESPN app. The rest of the SaberCats’ games this season will be on ESPN3 as well. For more information, visit www.thesanjosesabercats.com.